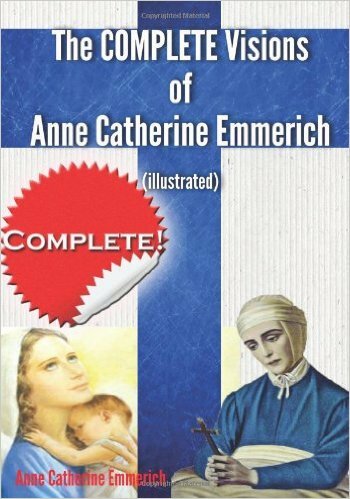 Anne Catherine Emmerich was born to poor parents at Westphalia, Germany in 1774. When she was twenty-eight years old she became an Augustinian nun at ulmen, and apparently began to experience ecstasies as a result of spiritual favors. She received the Stigmata in 1813, confined to her bed, and reportedly convinced a vicar-general, Overberg, and three physicians of her sanctity. She later reported that she had seen visions of Christ and the souls in purgatory as a child, as well as a circular core with three sections representing the Trinity. She is the author of The Dolorous Passion of Our Lord Jesus Christ, The Life of the Blessed Virgin Mary, Life of Jesus Christ and Biblical Revelations, and The Bitter Passion and the Life of Mary.